Marble , stone or wood effect tiles, we are offering the most affordable and modern pattern kitchen tiles to satisfy your lust for exquisiteness. We have a wide range of both rustic and contemporary designs tiles on our shelves to give the natural pleasing look to your beautiful kitchen. Our workers show you samples varies from ranges of colors, sizes, and durability. 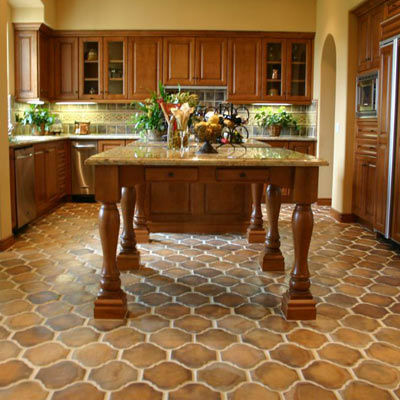 So choose your dream kitchen flooring at our Kitchen Tile Store. There are many options available for customers to choose from for kitchen floorings like hardwood finishing, ceramic tile cork, natural stone, vinyl and much more. But the question is what tile material is best for kitchen flooring. Every floor tiling has its own pros and cons. So it is essential to keep them in mind before choosing the right option for you. There are many advantages of tile flooring over other finishing like wood. 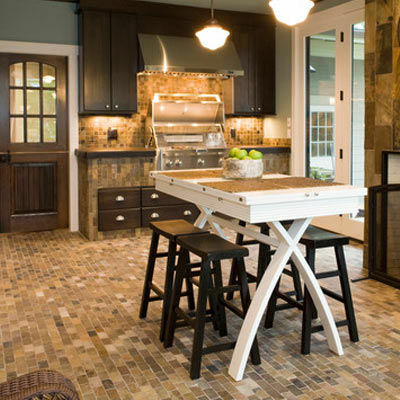 Kitchen tile flooring is no doubt a natural choice for kitchens. If a tile is hard, durable and extremely water-resistant, then surely it will beautify your kitchen floor. 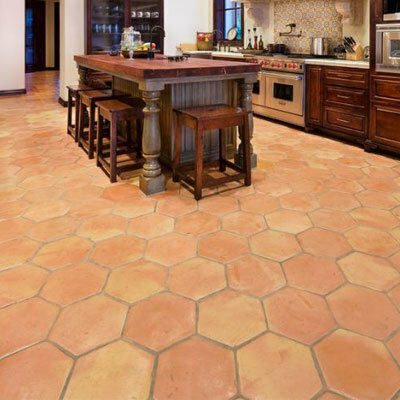 Now it’s time to go for best kitchen floor tile ideas to give amazing style to your kitchen with shapes and different colors. 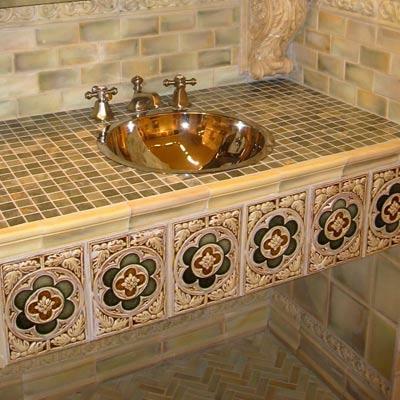 There are millions of tile material options available at the market. However, it’s very tough to choose the right one. Today, we have listed down some of the most amazing tile materials to help you choose among the best.  The most important is your Kitchen floor should be waterproof to give a healthy protection and a non-humid feel. 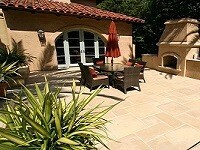  Tile material should be stain-resistant and dirt proof also that is easy to clean and maintain. 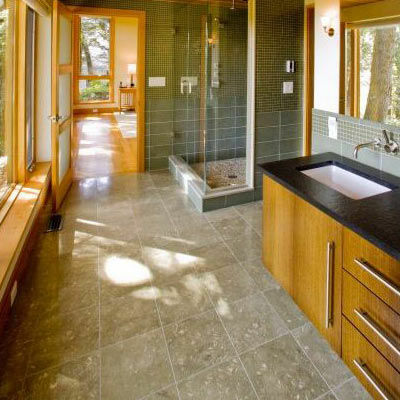  Tile flooring gives you a range of options for designs and patterns over wood finishing.  Kitchen floor tile material should be strong and hard-wearing, installing the stone material as floor option will be long-lasting for years.  The floor tiles for Kitchen should be scratch resistant. Easy to clean and maintain. Advantages: Talking about porcelain kitchen floor tile, then these are similar to ceramic ones. The only advantage these offers are durability and water resistant capacity. These are the attributes that make porcelain the best choice for kitchen tile flooring. Drawback: The drawbacks are the weight and the cost. These tiles are surely not for upstairs. Moreover, the installation also cost heavy on your pocket. Advantages: No doubt one of the best and hard options available at the market. Yes, talking about cool Concrete kitchen flooring. There is a number of design patterns available for cool concrete. These are easy to maintain, best in hot weather. Drawback: The only drawback is it is heavy and you may get crack even with little weight. Advantages: The most sophisticated solution for your kitchen flooring. Vinyl Kitchen floor tile come in a variety of designs and patterns to give new modern and stylish look to your kitchen. These are cost-effective and easy to maintain. Drawback: The only drawback is you always need to seal them to protect from the strain. 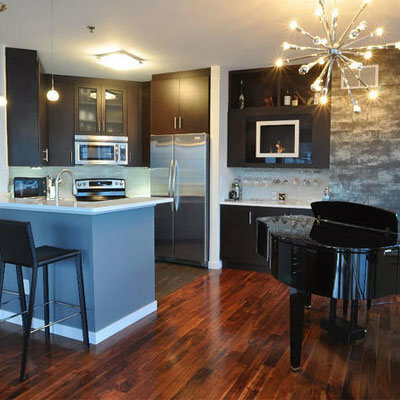 Advantages: The wood floor gives the most natural, pleasing and elegant look to your kitchen floor. If you want to give endless sophistication to your kitchen floor, then it’s time to go for it. Most comfortable than a concrete one. Drawback: Highly affordable but the only disadvantage is a little splash can ruin all the finishing. 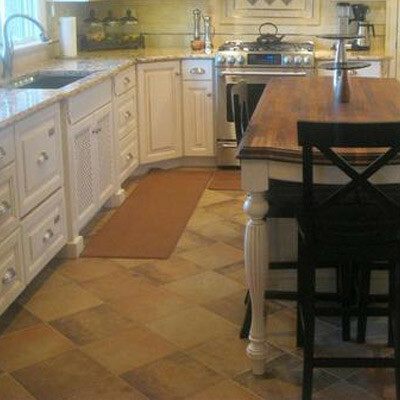 Advantages: One of the most common kitchen flooring option because of water and stain resistance. Another main reason for its popularity is it is highly stressed less to remove the damaged pieces. Drawback: On the other hand, it is difficult to stand for a long period over these tiles as these are much harder. 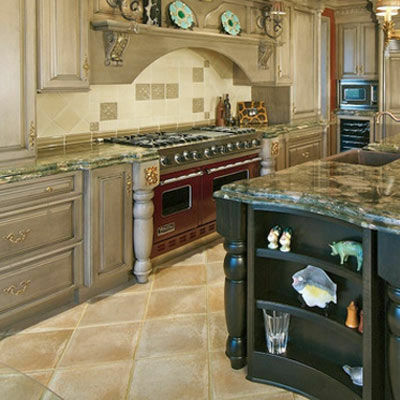 Advantages: One of the most classic options available for kitchen floor tile ideas. Natural stones including Granite , marble, and limestone. Give an extraordinary look to your kitchen like never before. There is a great variety of patterns and designs available to choose among. Drawback: stone is no doubt hard and cost more than any other material. Advantages: One of the amazing types of limestone-Travertine kitchen floor tiles is the natural, highly durable and most convenient kind of tiles to install in the kitchen. They are highly recyclable. Drawback: The only thing that makes the customers think over them once again is maintainability efforts that these tiles required. Advantages: These are highly expensive and the installation of these tiles are demands for high. Give the most durable and strong look to your kitchen flooring with the best Slate style kitchen tiles. Drawback: These are resistant to strain and water and that is why one of the best choice of people. 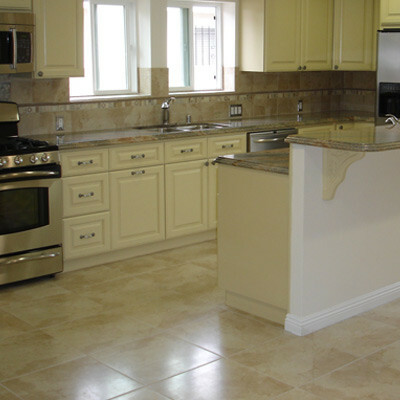 When you choose a kitchen tile floor then its safety, comfort and a non-skid surface must be your prime concern. Choosing a floor tile for kitchen, the coefficient of friction (COF) should be very high as compare to wall tiles, which in turn results to be a non-slippery surface to walk on. Just make sure that you follow the instructions carefully and choose floor tile for the kitchen that has a slightly raised pattern, or textured surface on it that results in a safer kitchen floor. For this, we recommend two main materials for quality kitchen flooring: laminate and vinyl, both of these have all the properties that are required for practical kitchen flooring tile material as hardwearing, non-damage, versatile, and stain resistant. 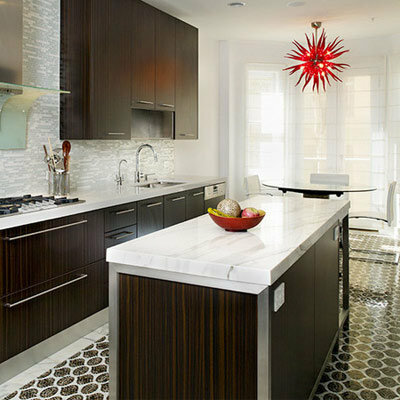 There are many outstanding kitchen floor tile ideas that you can choose for the exotic look of your modern kitchen. If you are looking for the most cost-effective and modern solution for kitchen floor tiling, then bamboo planks should be your first priority. Get your kitchen to amazingly new look with environment-friendly flooring style. It comes up in different plank sizes and shapes. An old style but yet modernish and preferable one. It’s time to give your kitchen the homey texture. 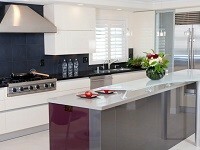 Give your kitchen cabinets the boldest paint and bring out the contemporary look of the kitchen. If you want to give your kitchen the most stunning look, then there are a variety of contemporary floor tiling options are available at our Kitchen tile store. These tiles are not new in the market but still consider as one of the most modern and perfect looking tiles to give liveliness to your kitchen. Black and white patterned encaustic cement tile in kitchen’s backsplash give a right amount of modernish look to the overall appearance. Laminated wood flooring is another great floor idea for the kitchen. The flooring is made up of different multiple engineered layers hold with each other. Easy to maintain, stylish yet affordable. There is a number of cork flooring ideas available to choose among the best one. Natural cork is highly durable and flexible for a long time standing while cooking in a kitchen. Looking for the best kitchen tile store in greater Los Angeles area, California? Westside tile and stone is your only trustworthy and reliable option! Offering a wide range of modern, stylish and high-quality tile options to customers. Yes, we have all kind of tiles including classic, travertine ,Ceramic Tile and more in our showroom. All you need is to visit our tile store near your location and pick the favorite tile you want to install in your home. 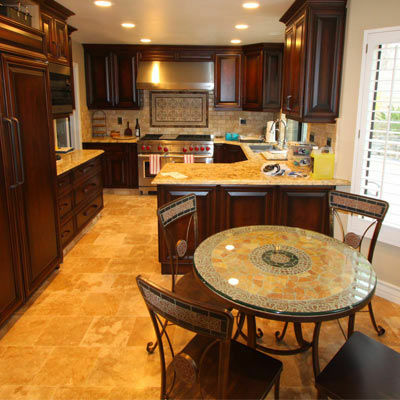 We are the best kitchen tile contractor in California. So what you are waiting for? Contact us today for more detailed information about Kitchen flooring, tile ideas and installation or you can call us at 818-704-9222 or 310-276-9222 for free consultation. A kitchen is one of the most used rooms in the room as it is experienced by heavy traffic, heat, and dirt etc. Therefore, it is necessary to choose the right tile material and need to adopt perfect tile installation strategy. Here are some of the tips to consider. If you want to experience the most amazing kitchen tile flooring, then you need to buy unglazed or textured tiles to avoid any unwanted happening. The first important step is to prepare subfloor before proceeding further. You need to prepare the subfloor for the weight of grout, tile etc. The second most important step is to plan kitchen layout. It’s better to do it before proceeding as it can save your much time. A layout with chalk lines is preferable. You can even use tile spacer for kitchen tile floor installation. It’s necessary to follow the instructions of the manufacturer. However, a mortar mixture should not be more than the time of 20-30 minutes. You can use a trowel for spreading the mortar mixture in a manageable way. It’s better to use trowel at the 45-degree angle. Now you need to install the tiles pressing in a mortar. It’s better to install long size tiles first and then cut ties. Tapping is preferable to make solid contact with mortar and tiles. The final step is to apply grout. Need to remove the tile spacers and apply grout with the help of grout float. It’s done! features the largest selection of designer collections in Southern California, including; AKDO Tile, Alysedwards, Artistic Tile, Encore Ceramics, Jeffrey Court, Ken Mason Tile, Mixed Up Mosaics, Oceanside Glass, Stone & Pewter Accents, Schluter Systems and VogueBay. Los Angeles Tile Disclaimer: The ceramic tile shop, glass tile store, stone tile, granite tile, kitchen, bathroom, living room, and exterior design information provided on this website is for promotional purposes only. Westside Tile & Stone, Inc. Copyright © 2019 Westside Tile And Stone, Inc.